In order to create a favourable environment for renewable energy (RE) initiatives by Independent Power Producers (IPPs), the governments of Southern and Eastern Mediterranean Countries (SEMCs) are implementing instruments aiming at reducing related investments risks. Although off-take prices are the most evident signals in attracting investments, many other elements, such as policy context, market regulation, grid access, property arrangements, financing system readiness are as much important in facilitating investment landing. Many of them are not strictly related to the setup of energy markets, but to the environmental and social legislation. 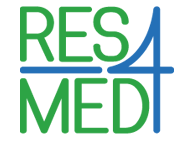 RES4MED has thus carried out a study, in collaboration with PwC, aimed at gathering relevant industrial players, financial actors and professional advisors’ viewpoints on the main factors affecting risk perception around investing in Renewable Energy in the SEMCs. The study has been based on a Survey involving Senior representatives from the main companies investing in the SEMCs in order to collect their opinion and to understand whether their expectations have been met so far, to which extent, and which barriers they still perceive to a safer landing of their investments in each destination Country. Survey results have been presented during the RES4MED Annual conference, held in Rome on 19th of May 2016, entirely focused on the survey’s topics. The results can be considered as a basis for an open discussion between the two sides of the business arena (public policy makers and private investors), in order to try to match their respective viewpoints. 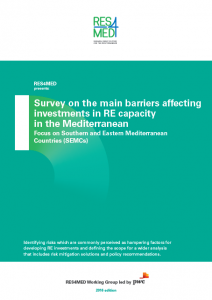 RES4MED considers this study as the first step of an exercise we would like to repeat to track any change in the investing trend in the coming years, keeping on contributing to deploying renewables in the Mediterranean. Based on investors opinion, the perception of the overall investment risk in Egypt tends to be medium-high. Risks are mainly noted in the financial area. All respondents in most advanced investment stages highlight that currency convertibility represents the main risk for the development of RE sector in its full potential. On the contrary, Egypt shows a strong potential in local manufacturing capacity and two thirds of companies express high confidence in local workforce and logistics. The overall perception of risk in Jordan tends to be low, in particular in RE sector but according to 80% of investors, permitting procedures require improvements. On the financial and economic side, the vast majority of respondents is very positive about the easiness in making transactions and in profit repatriation and the availability of both short term and long term credit is not perceived as a high risk issue. Finally, RE projects are very welcome in Jordan as most of respondents does not perceive social acceptance as a barrier for RE development. With announcement of new RE targets during COP21 and other improvements in place, investors think that Morocco‘s legal framework shows readiness for RE transition and stability of financial structure. However, grid capacity remains the main uncertainty. Risks related to revenues remain perceived modestly high as the majority of investors express a concern related to the risk of curtailment. While environmental risks have been dealt with and decreased, slightly more attention is required by social acceptance issue. The perception of the overall investment risks in Tunisia tends to be medium-high. According to the investors, security instability represents the main risk for development of RE in Tunisia. This has negative impact on multiple investment steps. Besides security, investors are not quite satisfied with RE legal framework as they ask for more grid transparency and better timing regarding law implementation. On the other hand, from the Survey it emerges the high potential of Tunisian workforce as well educated and trained. Consequently, new job openings in RE sector can help a growth of private sector and decrease youth unemployment.